Mobile technology is not only gaining traction as a workplace productivity tool: mobility is influencing the way businesses run. 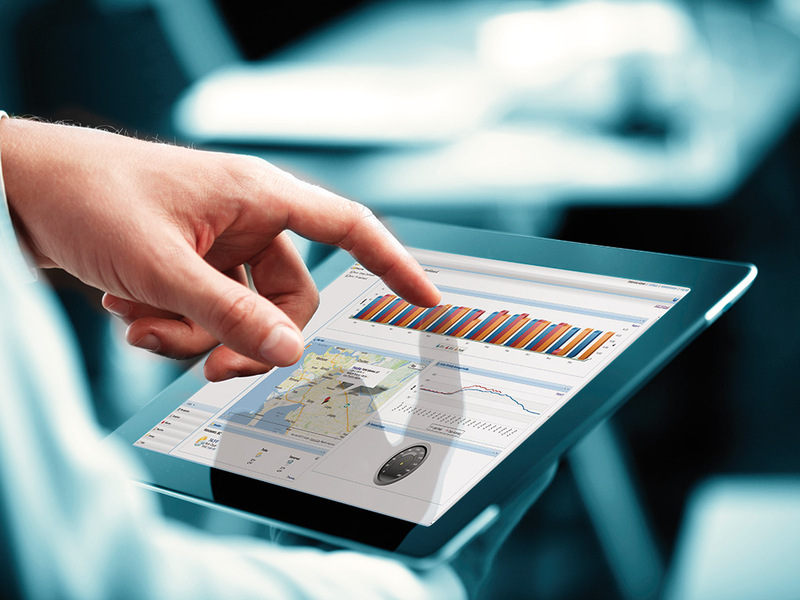 Manufacturing enterprises can leverage mobile ERP for material improvements in efficiency. ERP mobile applications enable users to access, create and share business information from hand-held devices like tablets and smart phones with ease. These tools help companies create better ways for end users to access and interact with information. The faster your users can get access to accurate, actionable data, the more productive they can be. Mobile ERP apps give workers easy access to powerful functionality and real-time data anywhere, any time. Mobility in the manufacturing workplace can eliminate waste and help businesses gain a competitive advantage with improved business productivity. But not all mobile tools are created equal. Your ERP mobile application should streamline communication, enhance workforce collaboration, enhance data accuracy and optimize workflow processes. A good mobile solution should be fully integrated into your ERP system, offer real time access to information, be user friendly and up to date on the newest technology. 1) Full integration into your ERP software: A good mobile application should offer full functionality and complete integration with your ERP software, not just the basics. There’s a world of difference between using basic CRM on your hand-held mobile device, and having access to fully functioning CRM, inventory management, business intelligence, quality control, workflow and data analysis on that device, in real time. 2) Real-time information access: Your mobile ERP apps should maintain constant connection to your ERP system, with live updates and no lag time or batch transfers, helping you make better business decisions faster. Inventory visibility, workflow approvals production reporting, demand alerts, and seeing who is logged into a machine and what machines are down, is all vital information necessary to make an informed decision. Good mobile technology will also allow you to capture data automatically and accurately. 3) Enhanced sales performance and customer service delivery: Mobile ERP technology can help you build and maintain valuable relationships in a competitive environment. Take advantage of sales opportunities anywhere, any time: whether at a trade show, client meeting or networking event, you can quickly and easily give quotes, access contact information and update prospect files from your CRM module. Improve responsiveness to your customers’ needs with timely communication and up to the minute information like prices, inventory availability, order and shipping status, credit history, unpaid invoices, pending items and payment history. 4) Flexibility across platforms: Your ERP provider should be actively developing software for all the emerging mobile platforms so you have the flexibility to run your business the way that is best for you. With so many competitive mobile platforms and operating systems being released, your ERP solution should offer mobile applications for Android, BlackBerry, iPhone and other smartphones, as well as various tablets like iPad, Xoom or Playbook. 5) Security: As more people start using mobile technology in the work place, valuable company data can potentially be transmitted over insecure networks, exposing sensitive information to enterprising hackers. Your mobile solution should offer best practices for managing your wireless system to keep your device and network security in place. 6) Ease of use: There are some constraints with mobile technology: tiny screens, battery life and keyboard capabilities are just some of the common frustrations that mobile users experience. But that doesn’t mean your mobile ERP solution can’t be user friendly. Touch screens, easy to read and understand graphic interfaces, electronic signatures, drill down capability and uncomplicated sorting and searching functionality should come standard. 7) Evolving with technology: Remember when it was exciting to have 3G speed and a camera for your smartphone? You need your mobile ERP software provider to be fully aboard the technology advancement bandwagon and continuously updating their mobile applications with features and functionality that help you take advantage of the newest technology to drive value for your business.